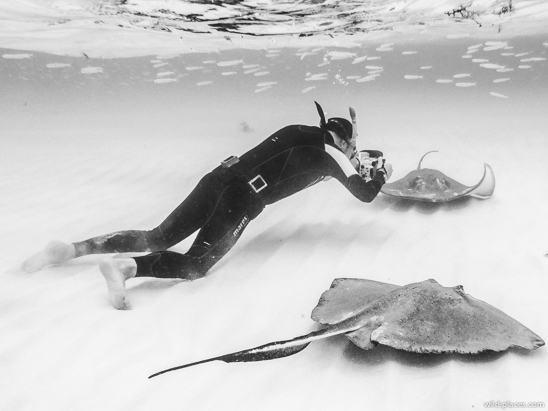 In October I went together with Kerstin and Linnéa for six days to the Cayman Islands for underwater photography of stingrays. It’s a long trip from Germany for just six days. But the connection with Air Canada via Toronto is quite good and the tickets were cheap. 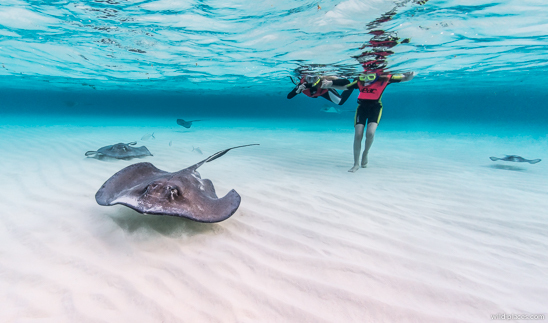 Grand Cayman is famous for its stingrays. There is a place called Stingray City were the Stingrays were fed by the fisherman in the past. They got used to people and now you can get very close to them. 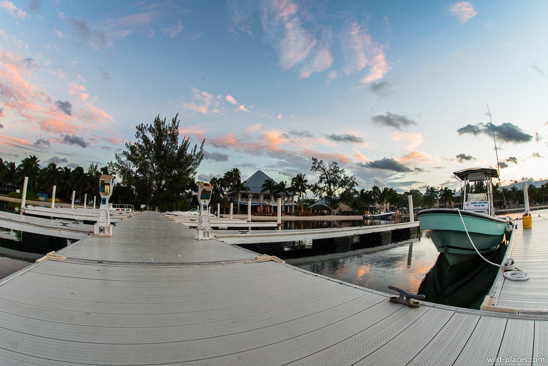 We stayed at Turtle Nest Inn which has some nice apartments and is located in a quiet area east of the crowded Seven Mile Beach. 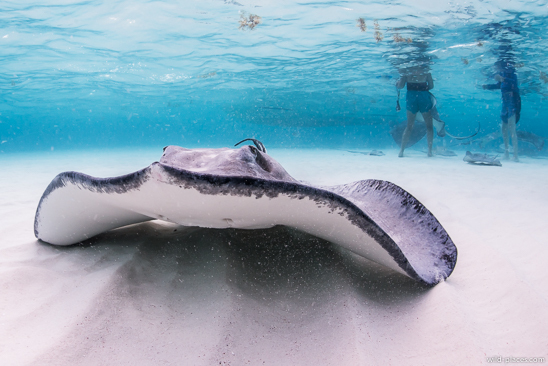 To get to Stingray City you have to either book a group tour or charter a private boat. The biggest problem is, that this place gets extremely crowded after 9 a.m. and nearly all group tours arrive there at 9 a.m. or later. There is just one early morning group tour available from Ocean Frontiers but only on Fridays. We had booked this tour and chartered a private boat for the other days. On the first days we had some serious problems with the weather. The tour on the first day was even canceled by Ocean Frontiers due to too strong wind. On the second day we went to Stingray City but the waves were really big. I tried to get some images of the stingrays but the waves were constantly knocking me around. With dozens of very poisonous animals close by, this was no fun. The stingrays are normally very peaceful but if a big wave would throw me directly on top of a stingray I’m not sure what would happen. I therefore decided after a couple of minutes to break off and return to the harbour. 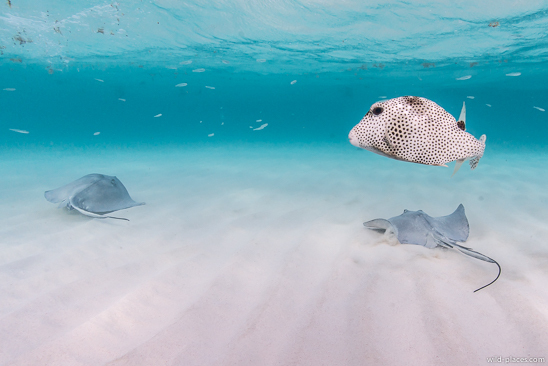 On the next day I left Linnéa and Kerstin at the hotel and went alone to Stingray City. The conditions were a bit better but the waves were still quite high. 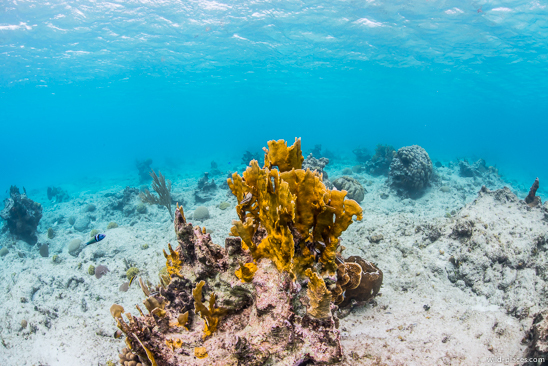 Using a heavy weight belt I managed to find some stable positions in the water and got some nice images. On the early morning group tour on Friday Kerstin and Linnéa joined me again and the conditions were much better. 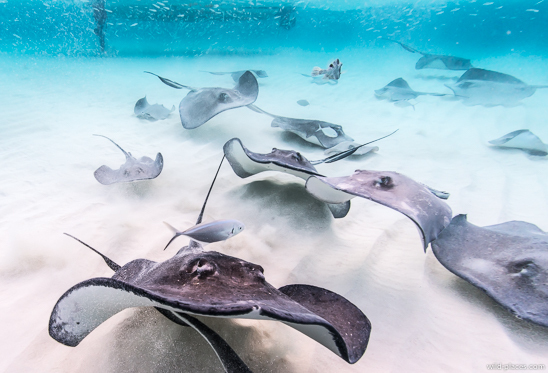 Even they could safely enter the water and enjoy the stingrays for a full hour. 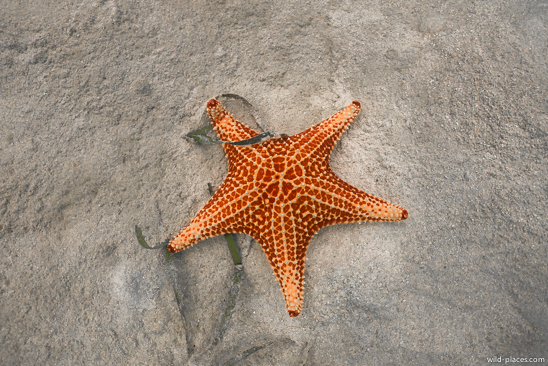 In addition we did some snorkeling at the reefs and at Starfish Point in the afternoons. 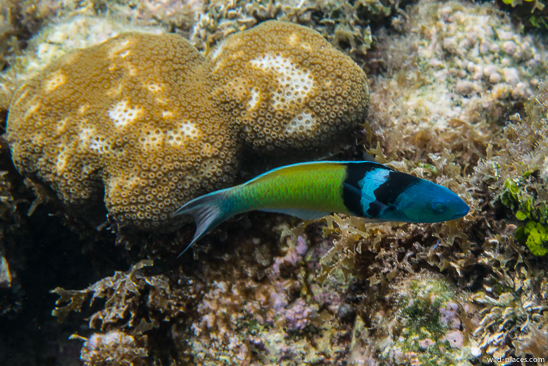 They were not as attractive as the ones in Palau but not far behind the Maldives. 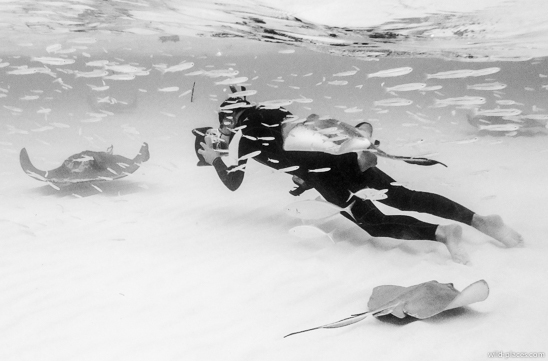 Although we had not the best conditions (people were telling us that we had the worst weather in 20 years), I got some nice images of the stingrays and was altogether happy with the trip. 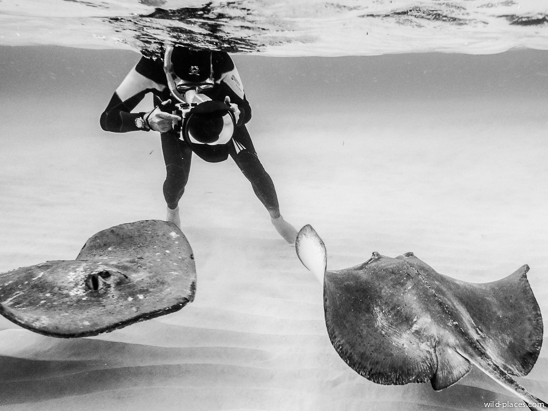 You can find my best stingrays images in my underwater gallery. And the gallery is fantastic!